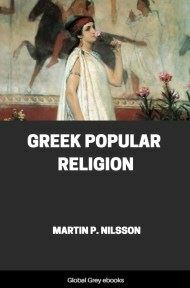 Beginning with Greece's earliest rites, this volume traces the development of the classic religion of the Olympian gods and discusses the religion of the philosophic schools of the fourth century BC. 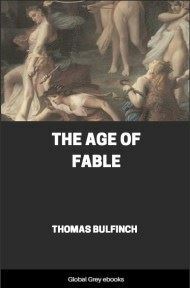 It portrays the emergence of Christianity and concludes with an account of the efforts of Julian the Apostate to restore a new variety of paganism. 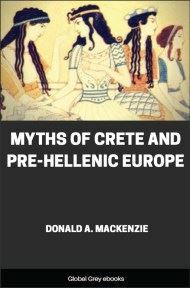 Many persons who are quite prepared to admit the importance to the world of Greek poetry, Greek art, and Greek philosophy, may still feel it rather a paradox to be told that Greek religion specially repays our study at the present day. Greek religion, associated with a romantic, trivial, and not very edifying mythology, has generally seemed one of the weakest spots in the armour of those giants of the old world. Yet I will venture to make for Greek religion almost as great a claim as for the thought and the literature, not only because the whole mass of it is shot through by those strange lights of feeling and imagination, and the details of it constantly wrought into beauty by that instinctive sense of artistic form, which we specially associate with Classical Greece, but also for two definite historical reasons. In the first place, the student of that dark and fascinating department of the human mind which we may call Religious Origins, will find in Greece an extraordinary mass of material belonging to a very early date. For detail and variety the primitive Greek evidence has no equal. And, secondly, in this department as in others, ancient Greece has the triumphant if tragic distinction of beginning at the very bottom and struggling, however precariously, to the very summits. There is hardly any horror of primitive superstition of which we cannot find some distant traces in our Greek record. There is hardly any height of spiritual thought attained in the world that has not its archetype or its echo in the stretch of Greek literature that lies between Thales and Plotinus, embracing much of the 'Wisdom-Teachers' and of St. Paul. The progress of Greek religion falls naturally into three stages, all of them historically important. First there is the primitive Euetheia or Age of Ignorance, before Zeus came to trouble men's minds, a stage to which our anthropologists and explorers have found parallels in every part of the world. Dr. Preuss applies to it the charming word 'Urdummheit', or 'Primal Stupidity'. In some ways characteristically Greek, in others it is so typical of similar stages of thought elsewhere that one is tempted to regard it as the normal beginning of all religion, or almost as the normal raw material out of which religion is made. There is certainly some repulsiveness, but I confess that to me there is also an element of fascination in the study of these 'Beastly Devices of the Heathen', at any rate as they appear in early Greece, where each single 'beastly device' as it passes is somehow touched with beauty and transformed by some spirit of upward striving. Secondly there is the Olympian or classical stage, a stage in which, for good or ill, blunderingly or successfully, this primitive vagueness was reduced to a kind of order. This is the stage of the great Olympian gods, who dominated art and poetry, ruled the imagination of Rome, and extended a kind of romantic dominion even over the Middle Ages. It is the stage that we learn, or mis-learn, from the statues and the handbooks of mythology. Critics have said that this Olympian stage has value only as art and not as religion. That is just one of the points into which we shall inquire. Thirdly, there is the Hellenistic period, reaching roughly from Plato to St. Paul and the earlier Gnostics. 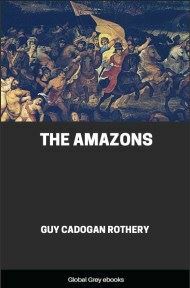 The first edition of this book treated the whole period as one, but I have now divided it by writing a new chapter on the Movements of the Fourth Century b. c., and making that my third stage. This was the time when the Greek mind, still in its full creative vigour, made its first response to the twofold failure of the world in which it had put its faith, the open bankruptcy of the Olympian religion and the collapse of the city-state. Both had failed, and each tried vainly to supply the place of the other. 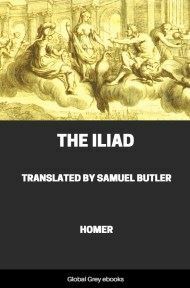 Greece responded by the creation of two great permanent types of philosophy which have influenced human ethics ever since, the Cynic and Stoic schools on the one hand, and the Epicurean on the other. These schools belong properly, I think, to the history of religion. The successors of Aristotle produced rather a school of progressive science, those of Plato a school of refined scepticism. The religious side of Plato's thought was not revealed in its full power till the time of Plotinus in the third century a. d.; that of Aristotle, one might say without undue paradox, not till its exposition by Aquinas in the thirteenth. The old Third Stage, therefore, becomes now a Fourth, comprising the later and more popular movements of the Hellenistic Age, a period based on the consciousness of manifold failure, and consequently touched both with morbidity and with that spiritual exaltation which is so often the companion of morbidity. It not only had behind it the failure of the Olympian theology and of the free city-state, now crushed by semi-barbarous military monarchies; it lived through the gradual realization of two other failures—the failure of human government, even when backed by the power of Rome or the wealth of Egypt, to achieve a good life for man; and lastly the failure of the great propaganda of Hellenism, in which the long-drawn effort of Greece to educate a corrupt and barbaric world seemed only to lead to the corruption or barbarization of the very ideals which it sought to spread. This sense of failure, this progressive loss of hope in the world, in sober calculation, and in organized human effort, threw the later Greek back upon his own soul, upon the pursuit of personal holiness, upon emotions, mysteries and revelations, upon the comparative neglect of this transitory and imperfect world for the sake of some dream-world far off, which shall subsist without sin or corruption, the same yesterday, to-day, and for ever. 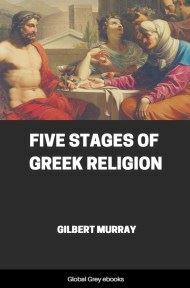 These four are the really significant and formative periods of Greek religious thought; but we may well cast our eyes also on a fifth stage, not historically influential perhaps, but at least romantic and interesting and worthy of considerable respect, when the old religion in the time of Julian roused itself for a last spiritual protest against the all-conquering 'atheism' of the Christians. I omit Plotinus, as in earlier chapters I have omitted Plato and Aristotle, and for the same reason. As a rule in the writings of Julian's circle and still more in the remains of popular belief, the tendencies of our fourth stage are accentuated by an increased demand for definite dogma and a still deeper consciousness of worldly defeat.